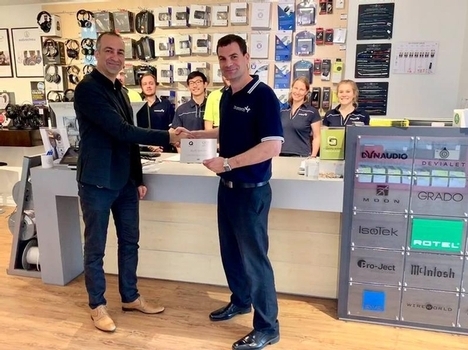 The Listening Post Christchurch has recently been awarded Elite Dealer Status for both Q Acoustics speakers and QED cables and interconnects. It is absolutely wonderful to receive these awards after supporting QED for the last 20 years and Q Acoustics since 2012. The photo above is of Mark Corey Managing Director of Capisco, the distributor of QED and Q Acoustics in New Zealand, presenting Crighton and his beloved staff with the esteemed award.